We set a charcoal fire in IRORI, and you cook Onabe by the charcoal fire. The cost of IRORI dinner is 6,000yen per person. 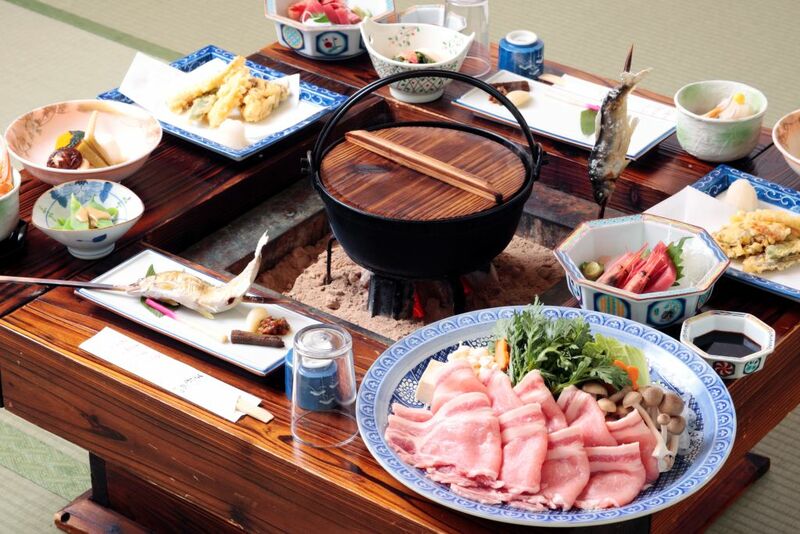 When you change a standard dinner to IRORI dinner, it needs a extra charge 2,000yen per person. IRORI dinner is not provided for a part of your group. You have to request it for all of your group. 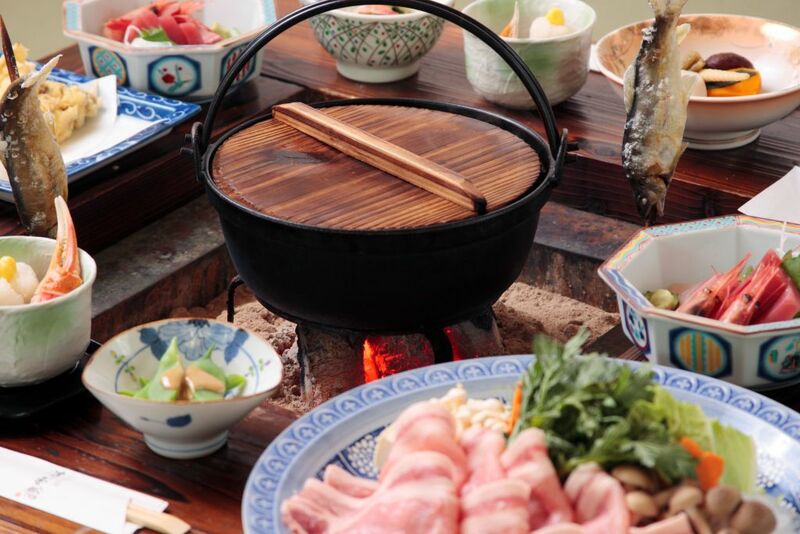 IRORI dinner is provided in autumn and winter. But it is not provided in the following period. 20th Dec. - 12th Jan.